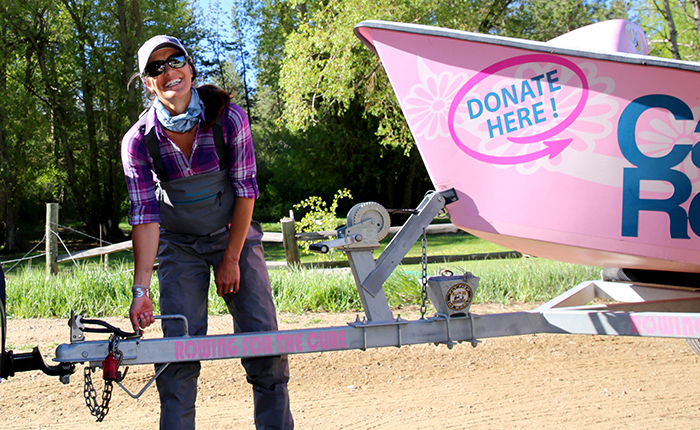 Whitney Milhoan poses with Casting for Recovery’s “Judy” the Pink Drift Boat. In 2015, Orvis created the Breaking Barriers Award to honor individuals who have gone above and beyond to introduce the sport of fly fishing to a more diverse audience. Past recipients have created programs for inner-city youth, under-served veterans, women, Alaskan natives, and children in foster care. Last month, at a gala event during the annual Orvis Guide Rendezvous in Asheville, North Carolina, we presented the 2018 Breaking Barriers Award is Whitney Milhoan, executive director of Casting for Recovery (CfR). A happy moment from the first-ever CfR retreat exclusively for Native American women. Last year, CfR began offering retreats for women with Stage IV metastatic breast cancer, giving them an opportunity to express their deepest concerns with those in the same situation. 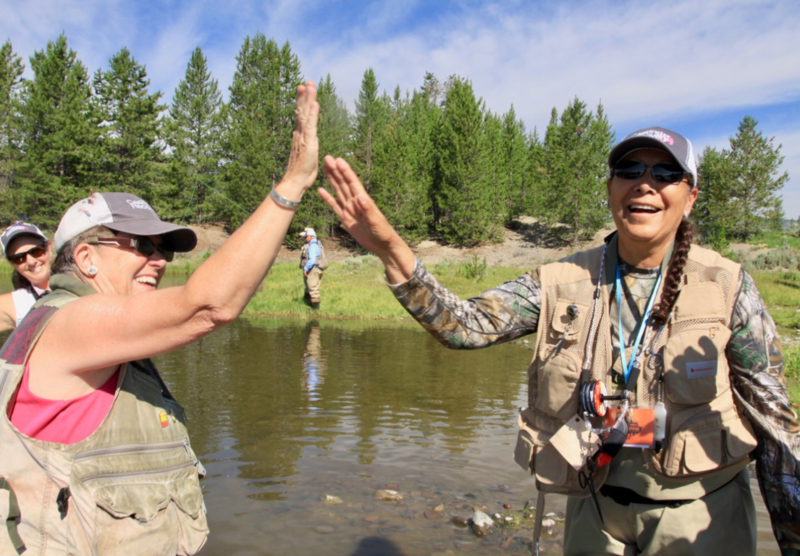 This year, the organization will partner with Project Healing Waters Fly Fishing to create retreats for women in the military, whose experiences can be markedly different from those of civilian women. In 2017 alone, Milhoan and her team added 10 new programs, hosted 55 retreats in 44 states, and introduced 770 women to fly fishing. Whitney Milhoan shows off a fine rainbow from Montana’s Bitterroot River. Orvis is honored to name Whitney Milhoan the recipient of the 2018 Breaking Barriers Award. In celebration of the life changing work of Casting for Recovery, Orvis will donate $1 to CfR for every 2018 participant in FF101, the company’s free introductory fly fishing course. Click here to read a great interview with Whitney on the American Museum of Fly Fishing website. Orvis is now accepting nominations for next year. Do you know someone who is engaging new anglers, feeding the sport, and approaching things maybe just a bit differently. Click here to nominate that special person. Orvis chose well!!! Whitney you’re such a blessing to so many! !